On our first evening in Kea, our host Yannis Tzavelakos of Kea Divers took me and my business partner and fellow Travel Bloggers Greece founder, Marissa Tejada to the hot spot of the island, a restaurant that has been around since 1965 and has the reputation of being the best restaurant on Kea. 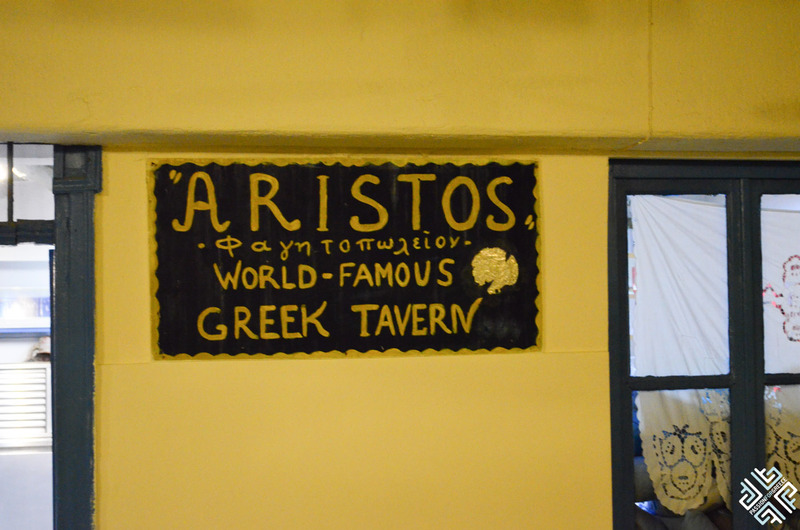 With the name of Aristos Taverna which translating from Greek means the best or simply excellent, we were met by a lovely man called Kostas Karagiorgas. The restaurant is operated by Kostas and Nikos, it is a family owned business which was started by their father in law who back in the mid 1960’s would move his equipment and furniture from his restaurant in Athens to Kea every summer, operate Aristos for the summer season and then return everything back to Athens as the summer would come to an end. This was the process he followed for a number of years until finally Aristos anchored at the harbour of Vourkaki for decades to follow and until today. 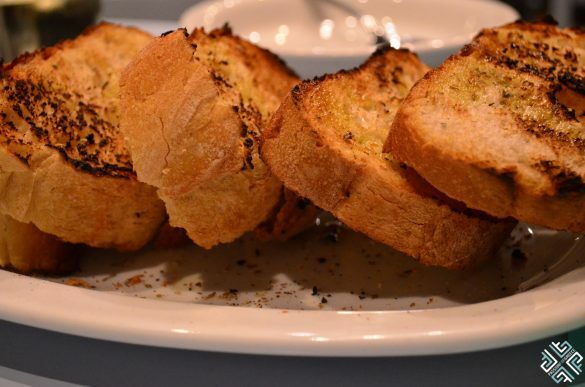 The secret formula of their success is purely based on “love and imagination”, as Kostas explained one must have love and imagination in order to prepare good food. 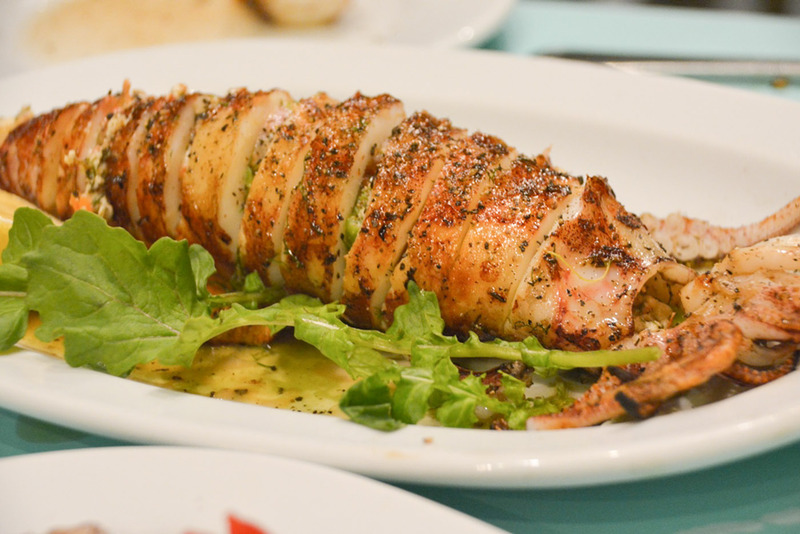 The food here was indeed exceptional and we felt the love and dedication that the owners had towards their business. 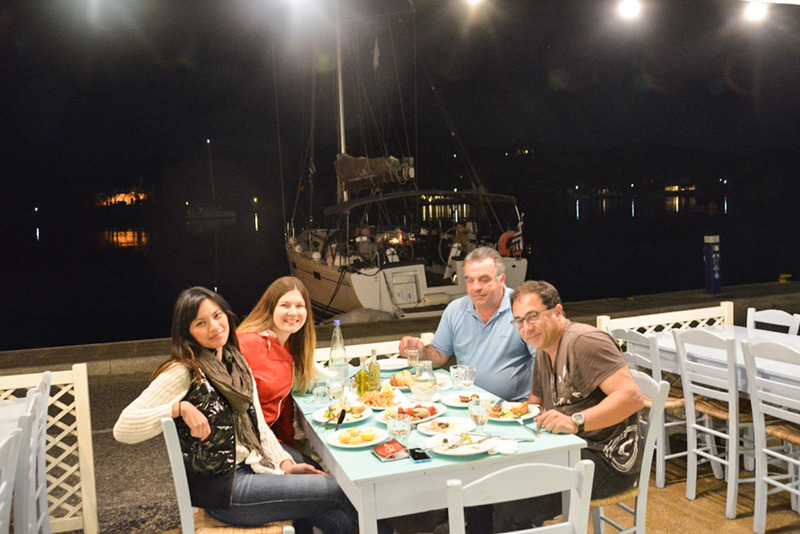 It was a warm spring evening, so we sat outside overlooking the harbour of Vourkaki, where private yachts moor throughout the year; the harbour gets pretty busy especially during the summer months. 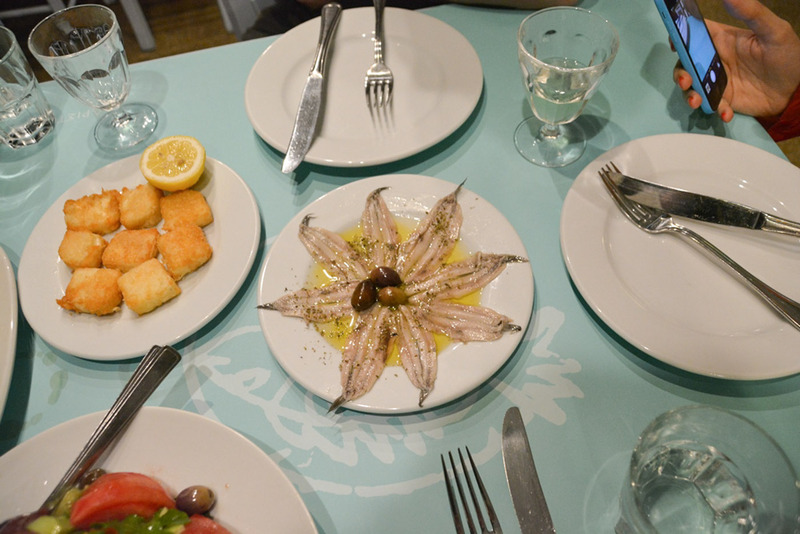 Our feast started off with traditional Greek appetizers such as saganaki or grilled cheese, grilled octopus, salted anchovies, fresh green salad and delicious baby shrimp. The wine was there too, chilled and plenty for this wonderful evening. 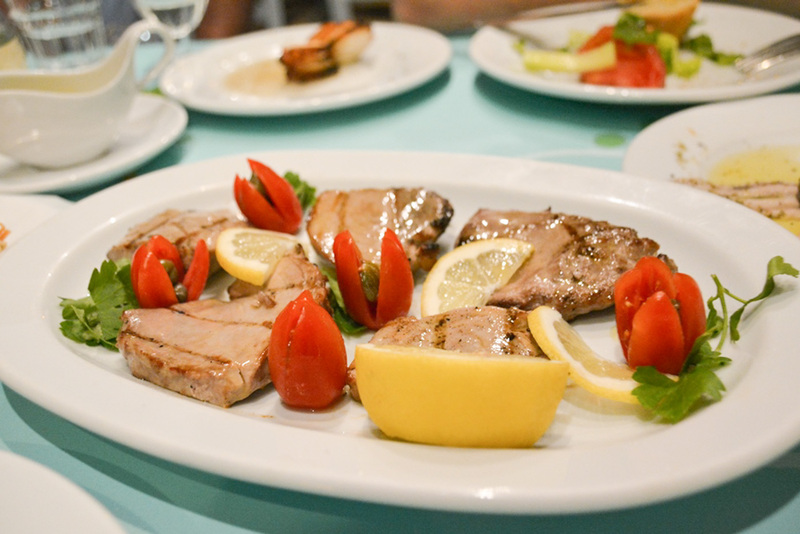 We then had the freshest, perfectly cooked tuna steak, served with cherry tomatoes and sprinkled with fresh olive oil and lemon. 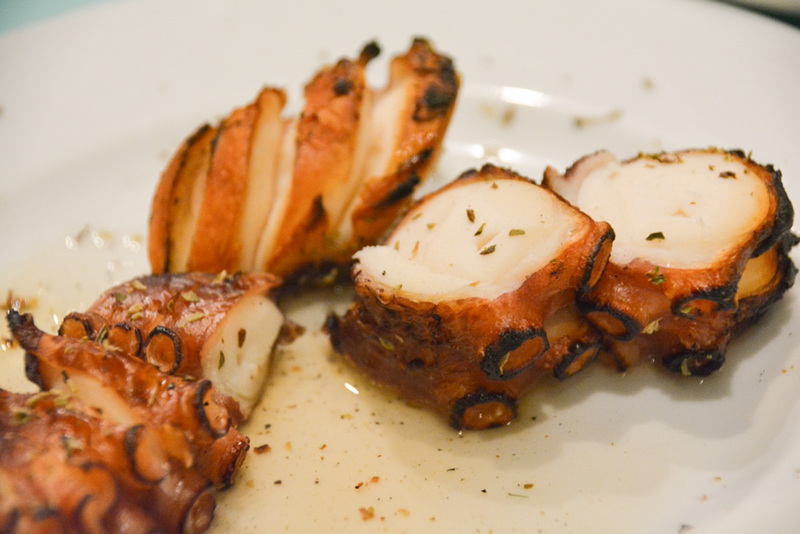 Kostas explained that he just got the fresh catch from the local fisherman, that afternoon. Apparently more food was on the way, as we were presented with a big stuffed squid kalamari placed right in front of us. We just couldn’t resist. The stuffing recipe was definitely unique, fresh peppers, feta cheese, onion and herbs, to name a few. Apparently our dining experience was not over just yet, as Kostas insisted that we must come back and try his famous lobster spaghetti, he explained that he must get the fresh lobster from the fishermen. The fishermen didn’t manage to catch the famous lobster the days we were in Kea but Kostas did have us over in his restaurant again, this time round to try his signature fish soup. 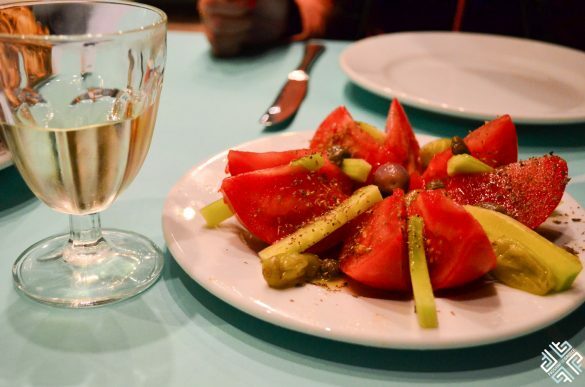 As we were seated at our table, Kostas did not insist on bringing many starters, he only said let me get you some fresh tomato, and minutes later this huge platter with a whole grilled white grouper and boiled vegetables was placed on the table. A separate bowl with the famous psarosoupa, fish soup also followed. Now it made sense why Kostas insisted that the soup was enough, it was more than enough. 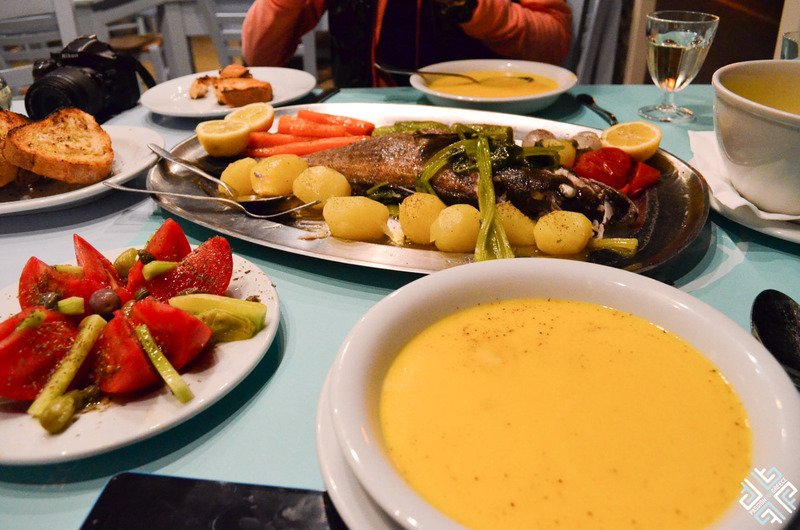 The soup was the best fish soup I have had during all my years in Greece, and they are many. 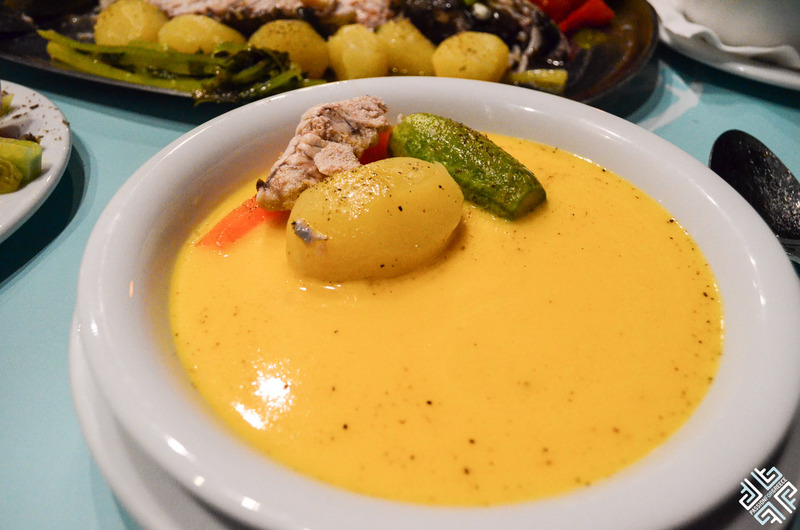 The colour was particularly interesting, a rich yellow that was extracted from the boiled carrots and potatoes. I would definitely go back to Kea, only for the soup itself. As we finished our meal and thanked Kostas for his hospitality, he said you girls must come back during the summer and try my famous lobster spaghetti, we promised that one day soon we will be back to the island to see our new dear friend and enjoy his dishes, over wine and tales. If you find yourself in Kea, go and say hello to Mr Kostas. 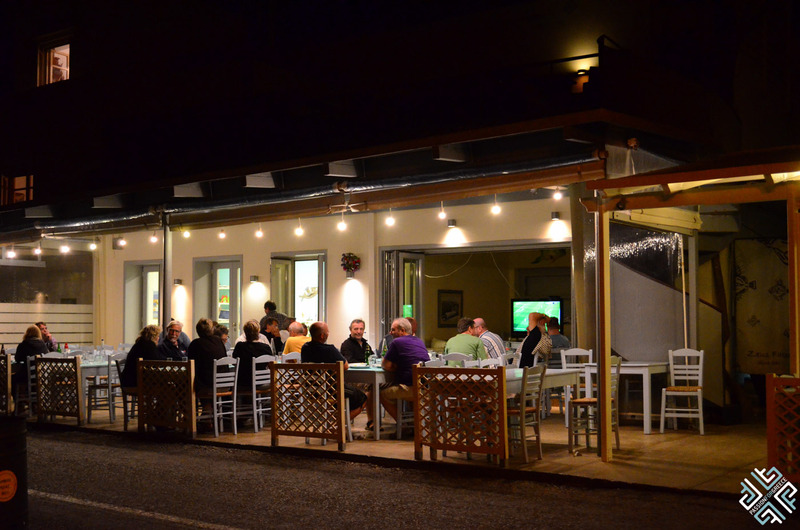 He will definitely serve you the best seafood dinner on the island.